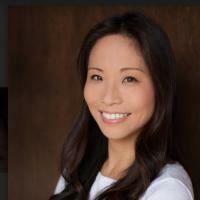 Chisato leads the operations of Impact Experience, a social impact company that provides tailored convenings and facilitation services to catalyze impact investment from the ground up. The company brings together investors, philanthropists, entrepreneurs, and leaders in marginalized communities in order to co-develop strategic partnerships and innovative investment opportunities to tackle society's most pressing issues including post-hurricane rebuilding efforts in New Orleans, Houston and Puerto Rico, workforce training programs in former coal economy-driven communities in West Virginia, building capital in minority and women-run businesses, and supporting sustainable agriculture practices in rural Georgia. Chisato is also a trained medical anthropologist with a passion for improving community health outcomes. Her doctoral work focused on understanding air pollution-induced public health disparities among peri-urban communities in Ulaanbaatar, Mongolia.